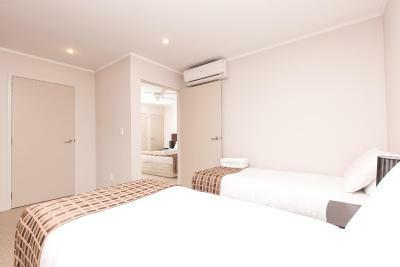 Renovated in 2011, Parkview Motor Inn is centrally located in the town centre of Pukekohe. Just 1.5 km from Pukekohe Railway Station, it offers barbecue facilities, free parking and free Wi-Fi access. 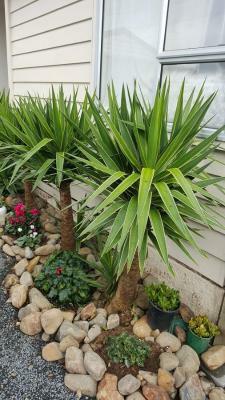 Pukekohe B&B is situated in Pukekohe East, 40 km from Auckland. Free private parking is available on site. Miranda is 38 km from Pukekohe B&B, while Manukau City is 23 km from the property. Auckland Airport is 23 km away. Featuring free WiFi and a sun terrace, Pukekohe Homestay offers accommodation in Pukekohe East, 40 km from Auckland. Free private parking is available on site. The bed and breakfast also offers bike hire. Pukekohe Motel is located in Pukekohe East, 1.4 km from the city centre. Free WiFi access is available. Simply styled, each room here provides guests with a seating area, a flat-screen TV, a telephone, a fan, heating and a dining table. Offering accommodation with satellite TV and cooking facilities, Aveda Motor Lodge is 5 minutes’ drive from Pukekohe Park and Counties Racing Club. Aveda Motel is 8 minutes’ walk from Pukekohe’s town centre. Offering a Jazz Bar & Restaurant and a Sports Bar, Counties Inn is 5 minutes’ drive from central Pukekohe. All rooms feature a flat-screen TV with satellite channels. Free on-site parking is provided. Located on the Kauri Coast, the Parkview Motel offers free Wi-Fi, a pool and barbecue facilities. All accommodation feature full kitchen facilities and a dining area. Parkview Motel Dargaville is just 2 minutes’ drive from the town’s centre. Parkview on Hagley overlooks Hagley Park in the centre of Christchurch. This 4-star hotel offers spacious suite-style accommodation, free internet and free parking within walking distance of the CBD. Featuring panoramic views of Tongariro National Park from floor-to-ceiling windows, Parkview Apartments offers a modern, self-catering holiday home with a fully-equipped kitchen. Free Wi-Fi access is available throughout the house.